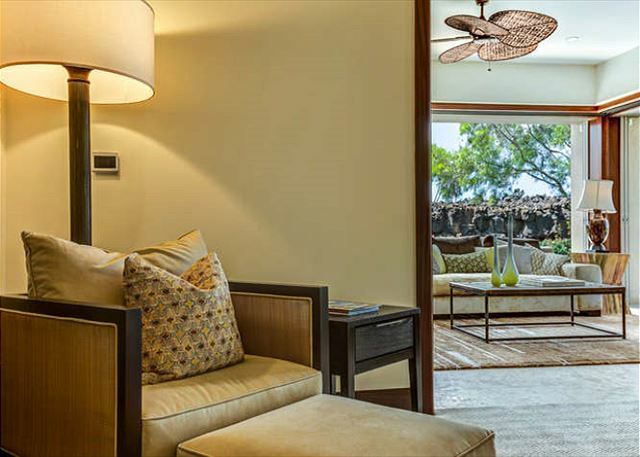 Enjoy luxury living at this spacious three bedroom oceanview townhome at the prestigious Hualalai Resort! 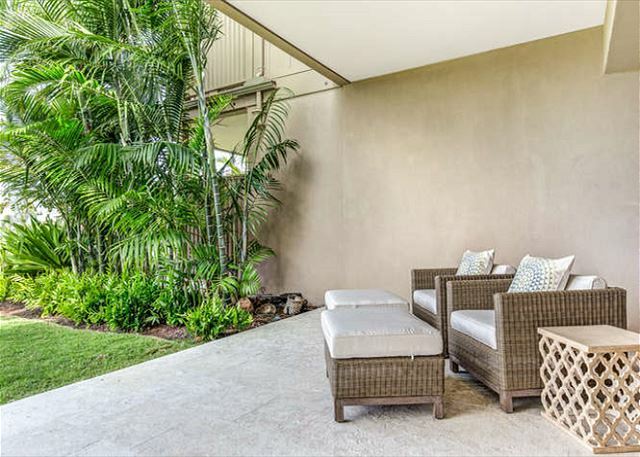 This exceptional villa, beautifully renovated in 2015 by designer Eric Henderson, offers 2,800 sq. 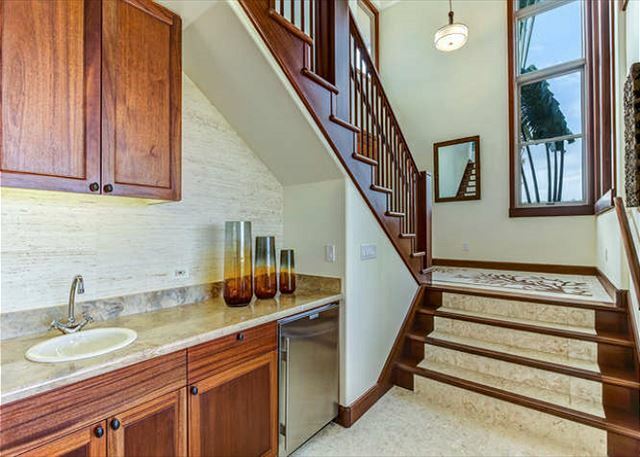 ft. of spacious living for your enjoyment. 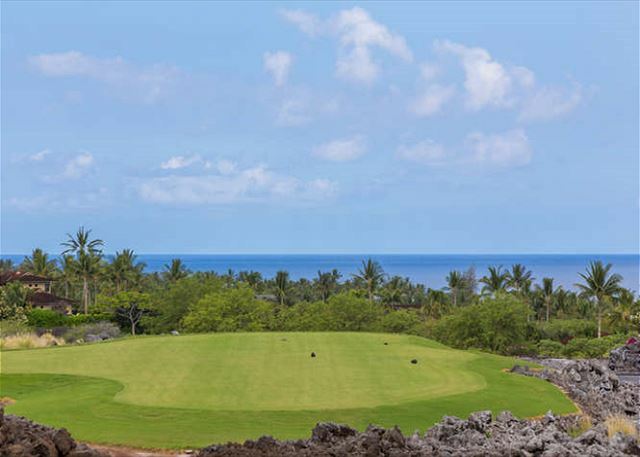 More, its location overlooking the 3rd tee of Hualalai’s private Keolu Golf Course offers amazing ocean and year-round sunset views. 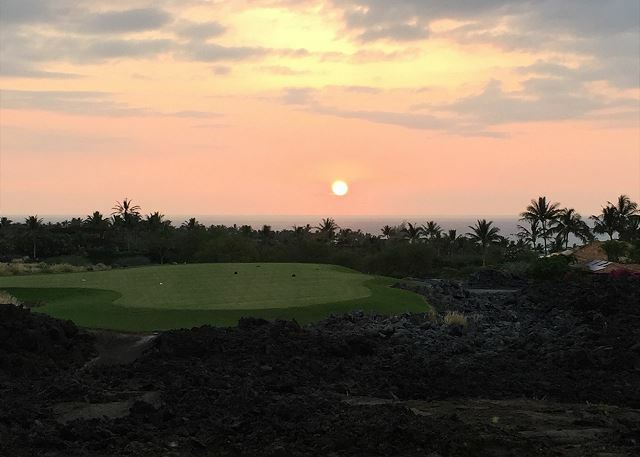 The view from this property is truly one of the best at Hualalai! 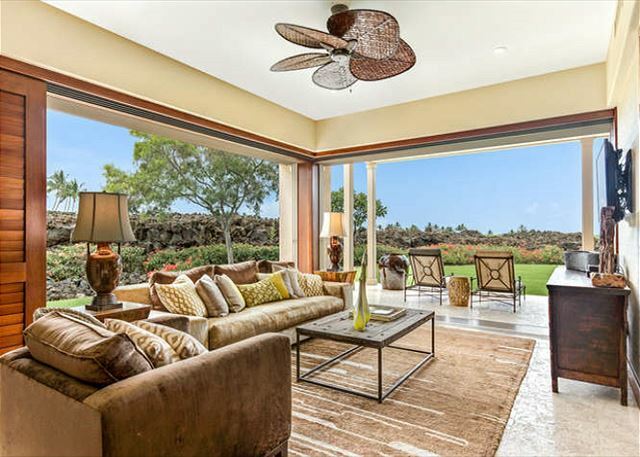 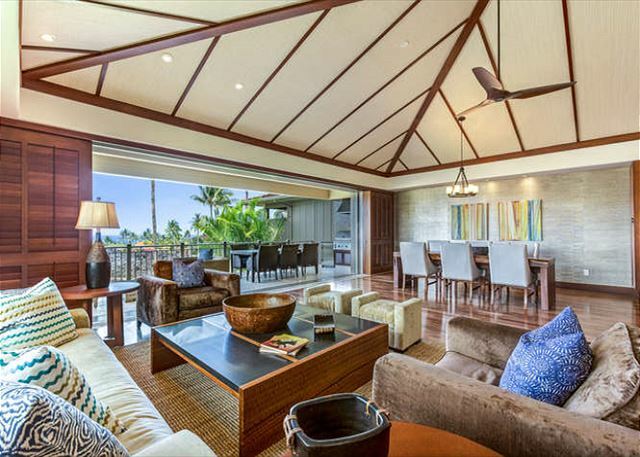 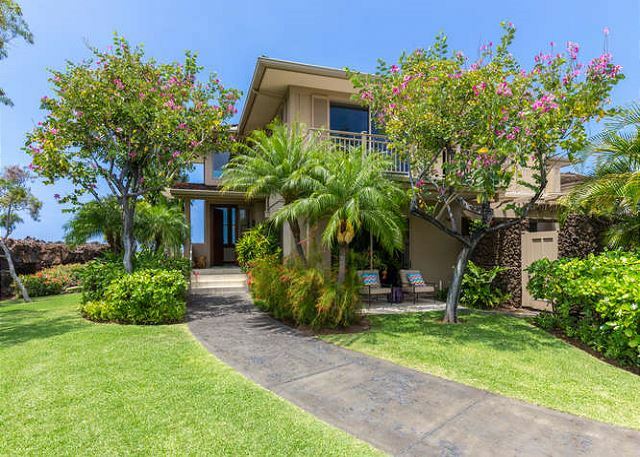 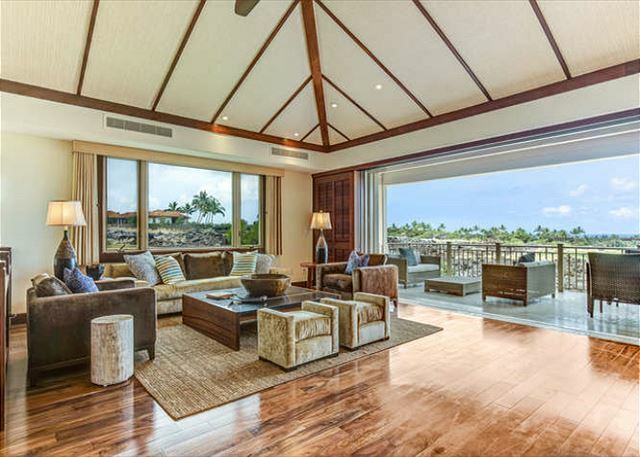 The location also offers easy access to the world-class amenities of Hualalai. 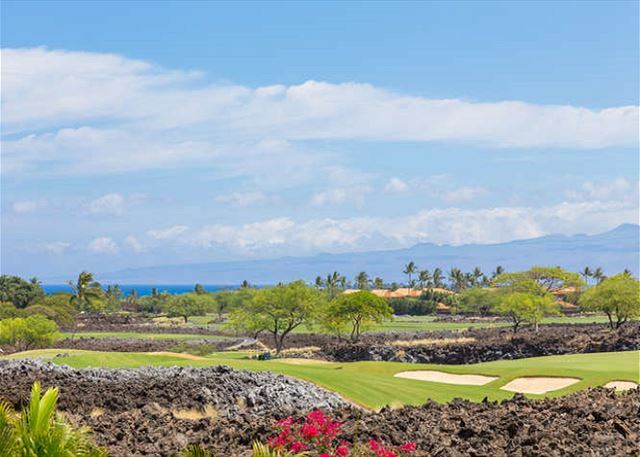 An enjoyable walk, or short ride in one of the two golf carts, will take you to the beach, pools, and restaurants of the Four Seasons Resort at Hualalai. 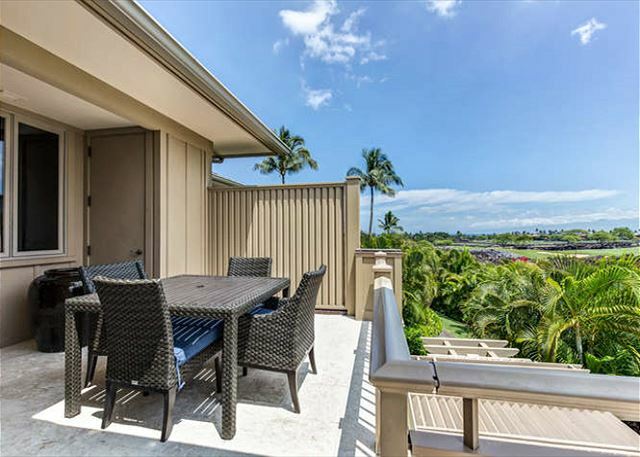 An end-unit with a townhome design, this condo offers additional privacy as well as views of mountains, fairways, and beautiful, blue ocean from three sides. 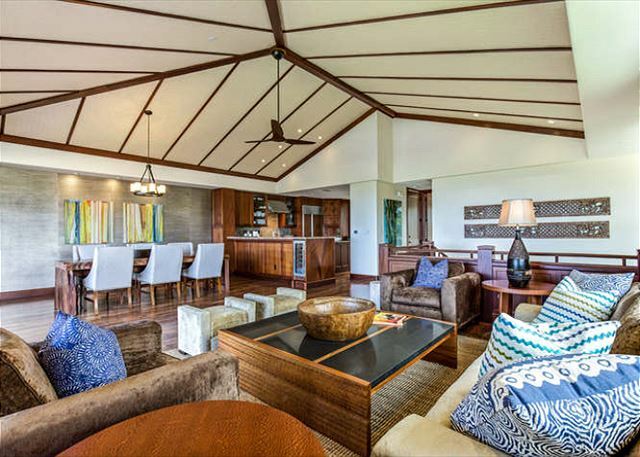 The central living areas are located on the upper level with amazing acacia wood floors throughout. 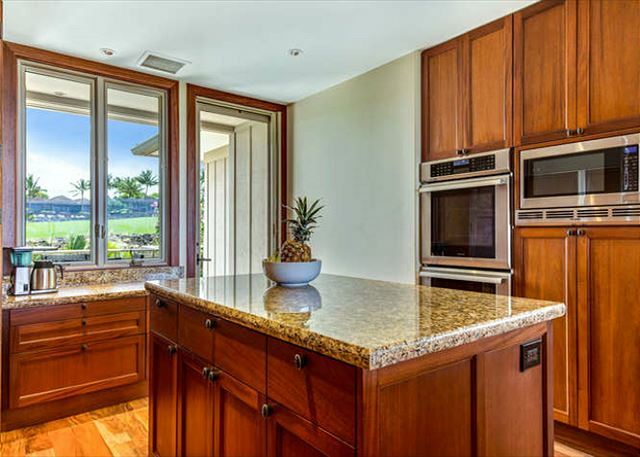 A fully-equipped gourmet kitchen, with granite counters and stainless steel appliances, opens to a lanai where you can enjoy sunrise views with your morning coffee. 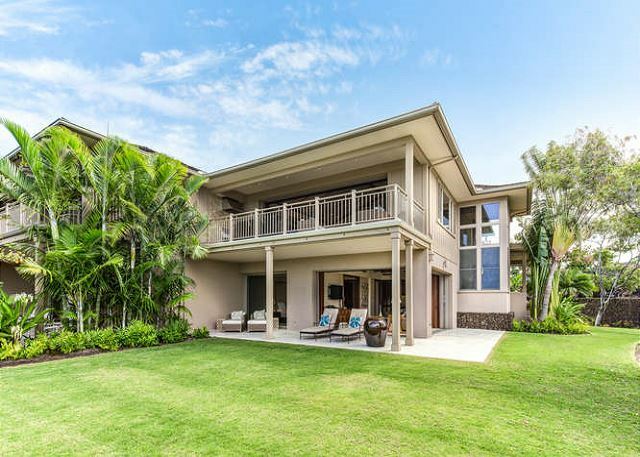 On the opposing side, full-length pocket doors open from the living and dining areas onto the lanai, allowing for a smooth transition from inside to the beauty of the outdoors. 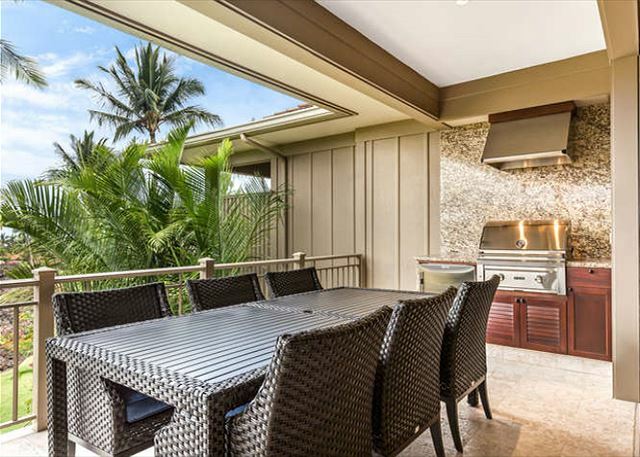 There you can enjoy the amazing sunsets while cooking a meal in the summer kitchen, eating with family & friends at the table, or relaxing with your favorite beverage on the outdoor seating. 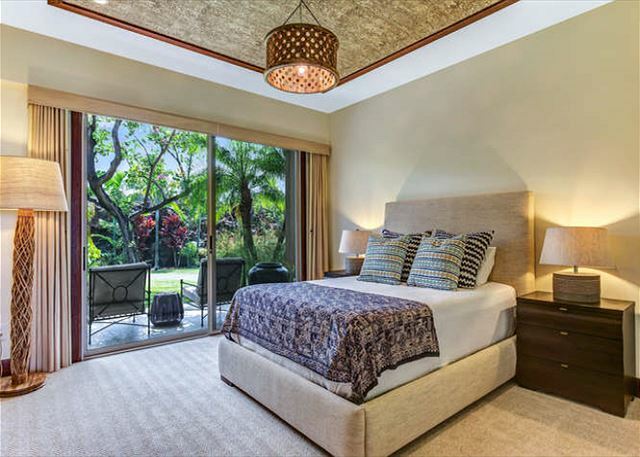 Also located upstairs is a large and beautifully furnished guest bedroom with a king-size bed. 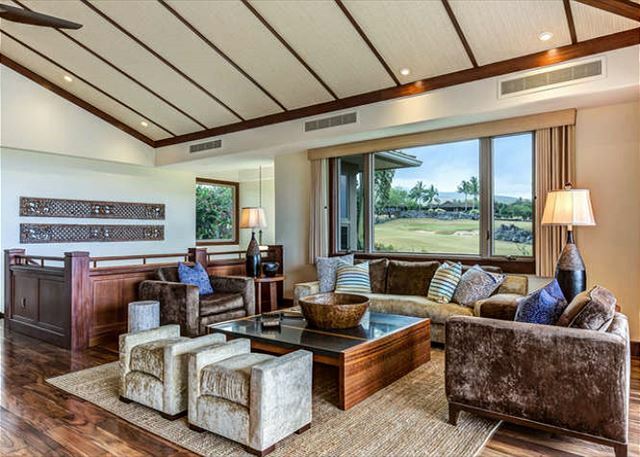 The sliding glass doors and large windows open to a private lanai where you can enjoy mountain and fairway views from the lounge chairs. 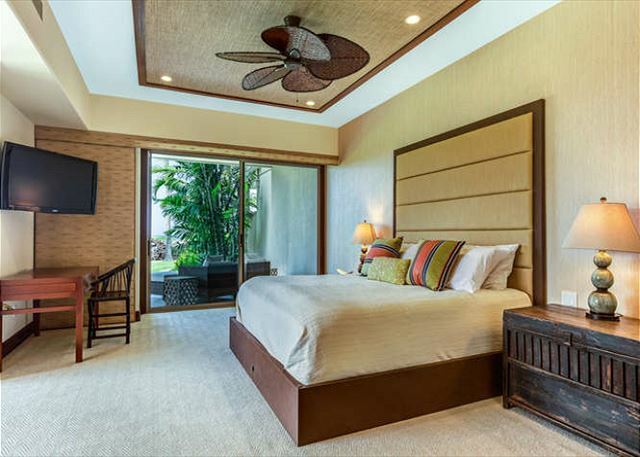 A wall-mounted television with extended cable and DVD player are there for your enjoyment. 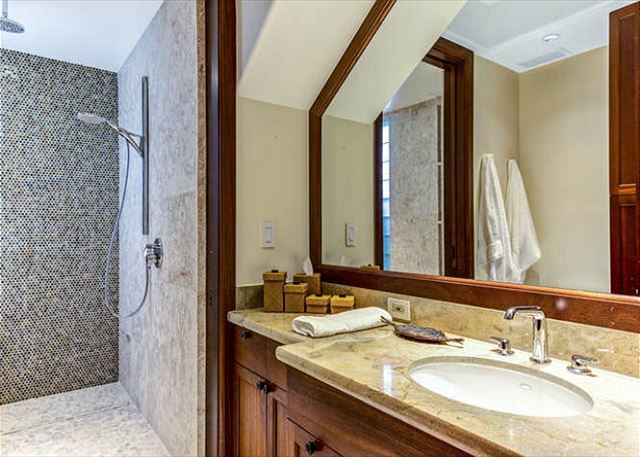 Adjacent is a beautiful bathroom and shower. 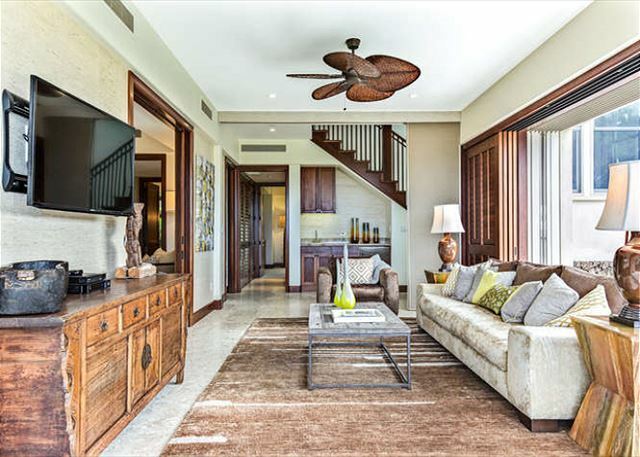 The lower level boasts an additional living area with wall-mounted television and extended cable/DVD player. 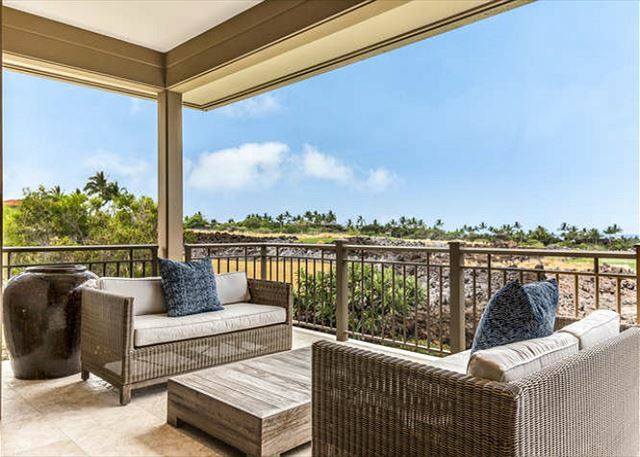 Pocket doors open to a wraparound travertine lanai furnished with two lounge chairs and two reading chairs. 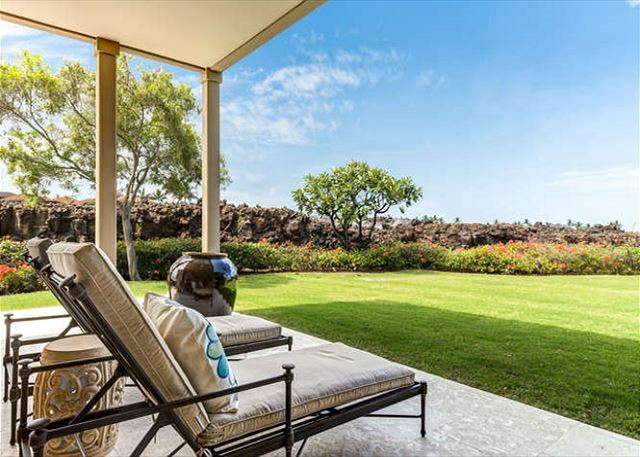 From here you step out to a beautiful garden lawn enclosed by a natural lava wall; it’s a perfectly private setting for afternoon reading, or children to play. 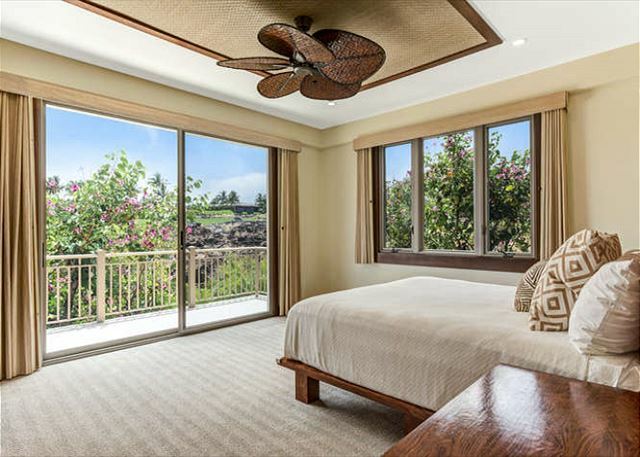 Just off this area is the spacious master bedroom with a king-size bed and sitting area. 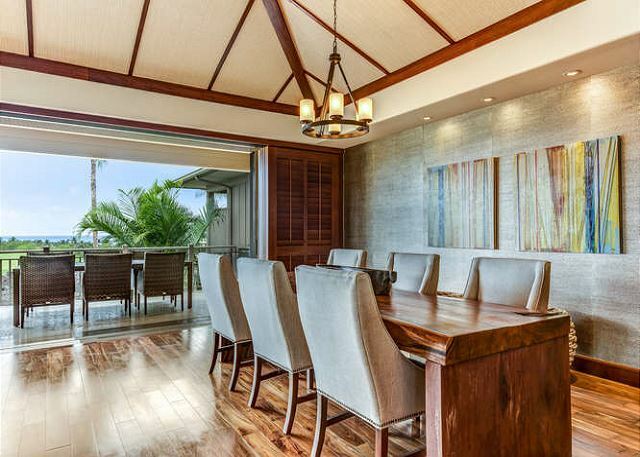 There is a wall-mounted television with extended cable, large walk-in closet, and a desk for catching up on things from the home front. 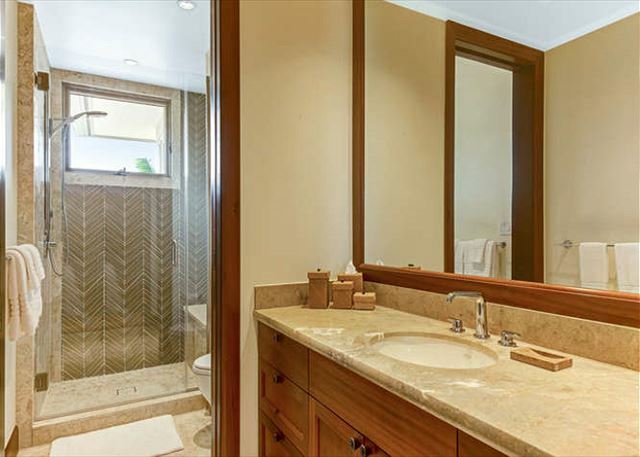 The attached master bath has dual vanities, a deep soaking tub, a large walk-in shower. 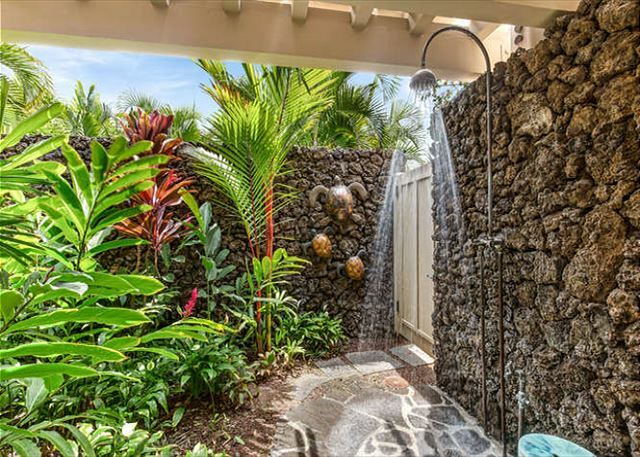 And then, of course, there is the beautifully landscaped outdoor shower garden…a ubiquitous feature in the homes at Hualalai. 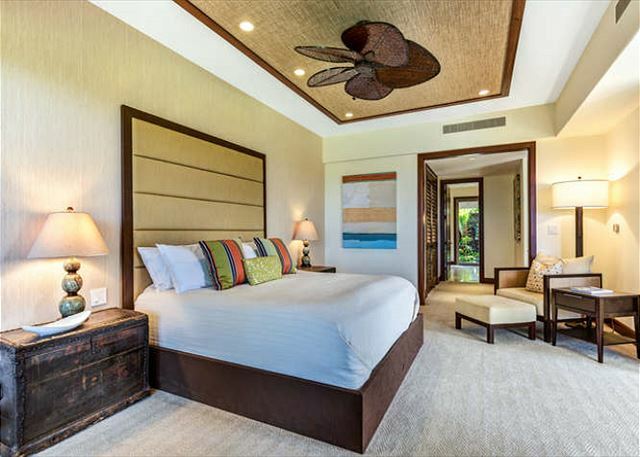 Also located downstairs is a third bedroom, wonderfully furnished with a queen-size bed and a wall-mounted television with extended cable/DVD. 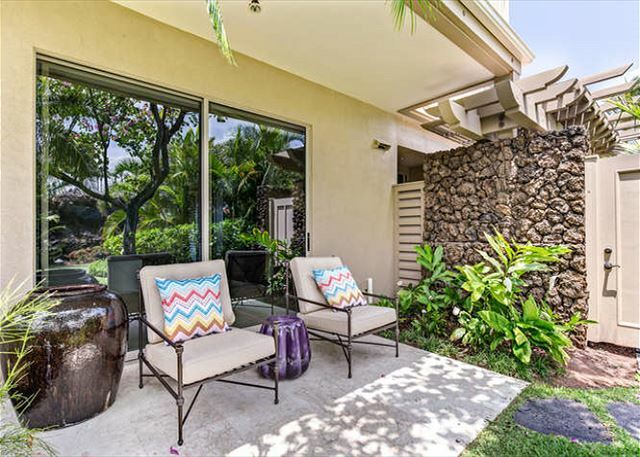 Sliding glass doors open to a lanai where you can sit on the lounge chairs and enjoy the seclusion of the tropical landscaping. 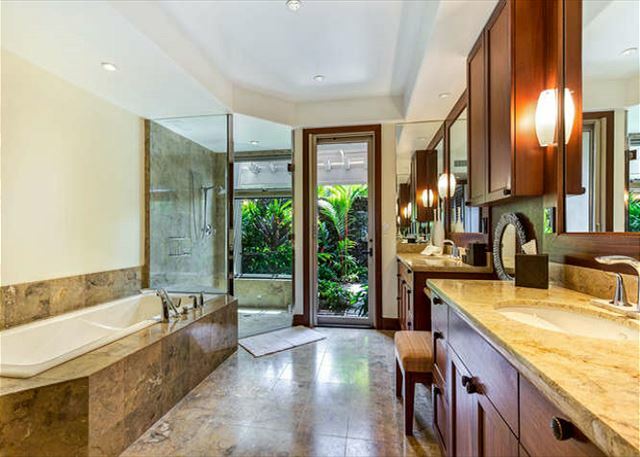 Adjacent is the bathroom with a granite vanity and a large and very beautiful walk-in shower. 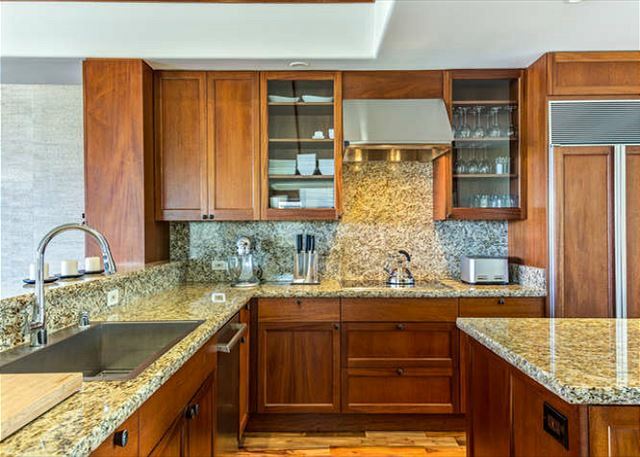 Other amenities include multi zone air conditioning, wifi, washer/dryer, beach chairs & toys, boogie boards, and two 4-seater golf carts.